Perhaps the most heart wrenching sight is a young and helpless child in pain. 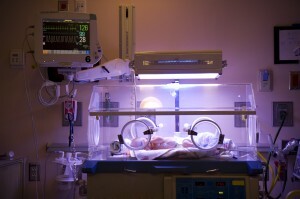 Sadly, despite great advances in medical technology and care, birth injuries occur. Negligent prenatal care or missteps in medical care in the hospital delivery room can permanently affect your life and the life of your child. Whether the doctor failed to diagnose a serious condition before birth or inadequately treated an injured newborn or mother, The Casper Firm’s Baltimore birth injury attorneys have the knowledge and experience crucial to successfully handle this complex and trying situation. Serious conditions such as Erb’s palsy, cerebral palsy, brain injury, facial paralysis and broken bones are but a few of the unfortunate potential consequences of medical malpractice committed during birth. The Casper Firm is highly skilled in claims involving medical malpractice and birth injuries. In determining a claim of medical malpractice for a birth injury, our Maryland birth injury attorneys will examine the medical records of both the child and mother during and immediately after pregnancy and birth to determine the legal consequences of the medical professionals involved in their care. With the help of our medical experts, we will explore the nature and intricacies of the birth injury as well as the expenses involved in caring for this long term medical condition. Such care is incredibly expensive and as your attorneys, we will work diligently to ensure that any settlement or litigation will provide you with the necessary resources in the coming months, years and decades. If your child has suffered a birth injury, The Casper Firm can help you. We are experienced in bringing medical malpractice cases and recovering for our clients. Call us for a free consultation at 410-989-5097.